Singapore has been called for assistance to Phu Quoc Island off mainland Kien Giang Province into a high-land tourism and technology center in Southeast Asia. According to a Vietnam investment promotion forumn in Singapore, the prime ministers had agreed on cooperation and favourable conditions for Singapore to invest in the island. Many enterprises, such as Sembcrop.Sunray Woodcraft Construction Pte Ltd and Centurion Properties Pte Ltd. have taken interest in Phu Quoc Island after Minister of Planning and Investment Bui Quang Vinh called for support from Singapore to develop Phu Quoc into a center for tourism, science and technology. Nguyen Thanh Nghi, deputy chief of Kien Giang’s party unit and the province’s vice mayor, announced that Vietnam is working on a project to develop Phu Quoc into a huge economic zone with preferential policies for investors, including land use, corporate tax, income tax and import tax benefits. Accordingly, Singaporean companies are welcome to invest in eco-tourism sites, urban areas and high tech parks on 4,000 hectares of the island. These companies have made careful examinations on infrastructure facilities in Phu Quoc, ranging from highways, aiport to power and water supplies. 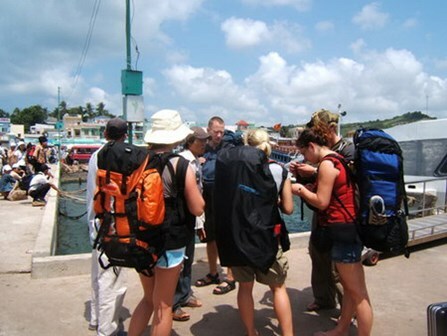 On May 9, some of them make plan to visit the island and further study availabe advantages and current situation there. According to a decision issued by Priminister Nguyen Tan Dung earlier, investors would be welcomed by favourable policies applied to those in the industrial and export processing zones. The statistics from Foreign Investment Agency have indicated that Singapore is now Vietnam’s third largest investor with more than US $ 30 billion registered for over 1,266 valid projects. Le Van Thi, chairman of Kien Giang Province, confirmed that Singapore has a strong advantage to invest in Vietnam due to geographical and natural similarities between the two and the fact that two countries had elevated their ties to a strategic partnership. 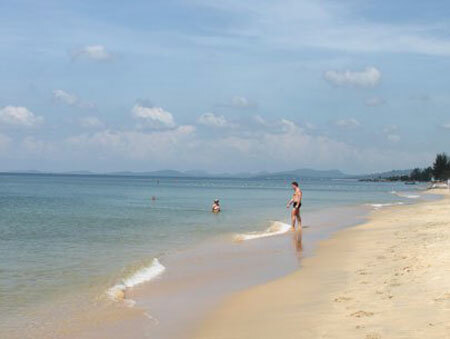 Phu Quoc consists of 593 square kilometers with a population of 103,000 people. Last year, the island attracted more than 500,000 visitors and the number is expected to reach at least 2 million a year in the next decade.